The Factory Acts were a series of Acts passed by the Parliament of the United Kingdom to limit the number of hours worked by women and children, first in the textile industry, then later in all industries. The factory reform movement spurred the passage of laws to limit the hours that could be worked in factories and mills. The first aim of the movement was for a "ten hours bill" to limit to ten hours the working day of children. Richard Oastler was one of the movement's most prominent leaders. The Factory and Workshop Acts 1878 to 1895 is the collective title of the Factory and Workshop Act 1878, the Factory and Workshop Act 1883, the Cotton Cloth Factories Act 1889, the Factory and Workshop Act 1891 and the Factory and Workshop Act 1895. For more details on this topic, see Health and Morals of Apprentices Act 1802. The Health and Morals of Apprentices Act 1802 (42 Geo III c.73), sometimes known as the Factory Act 1802, placed orders upon Cotton Mill owners with regards to the treatment of apprentices (mostly children) and the cleanliness requirements of the Mill. It was introduced in response to recommendations given by physician, Thomas Percival after an outbreak of Malignant Fever at a Mill owned by Sir Robert Peel. Although the Act was ineffective in its implementation, it paved the way for future Factory acts which would regulate the industry. The 1819 Cotton Mills and Factories Act (59 Geo. III c66) stated that no children under 9 were to be employed and that children aged 9–16 years were limited to 12 hours' work per day. No night work for persons under the age of 21. Children (ages 14–18) must not work more than 12 hours a day with an hour lunch break. Note that this enabled employers to run two 'shifts' of child labour each working day in order to employ their adult male workers for longer. Children (ages 9–13) must not work more than 8 hours with an hour lunch break. Children (ages 9–13) must have two hours of education per day. Outlawed the employment of children under 9 in the textile industry. Children under 18 must not work at night. Provided for routine inspections of factories. Women and young people now worked the same number of hours. They could work for no more than 12 hours a day during the week, including one and a half hours for meals, and 9 hours on Sundays. Accidental death must be reported to a surgeon and investigated. Thorough records must be kept regarding the provisions of the act. Machinery was to be fenced in. After the Whigs gained power in Parliament, the Ten Hour Bill (also known as the Ten Hour Act) was passed, becoming the Factories Act 1847 (citation 10 & 11 Vict c. 29). This law limited the work week in textile mills (and other textile industries except lace and silk production) for women and children under 18 years of age. Each work week contained 63 hours effective 1 July 1847 and was reduced to 58 hours effective 1 May 1848. In effect, this law limited the workday to 10 hours. This law was successfully passed due to the contributions of the Ten Hours Movement. This campaign was established during the 1830s and was responsible for voicing demands towards limiting the work week in textile mills. The leaders of the movement were Richard Oastler (who led the campaign outside Parliament), as well as John Fielden and Lord Shaftesbury (who led the campaign inside Parliament). Of course, employers found a ten hour limit acceptable as it meant that workers could be run in shifts, keeping the factory open for up to twenty hours a day. This Act (citation 13 & 14 Vict c. 54) redefined the workday which had been established under the Factory Acts of 1844 and 1847. No longer could employers decide the hours of work. 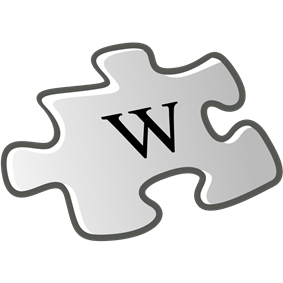 The workday was changed to correspond with the maximum number of hours that women and children could work. The act included the following provisions. Children and Women could only work from 6 a.m. to 6 p.m. in the summer and 7 a.m. to 7 p.m. in the winter. All work would end on Saturday at 2 p.m.. Hours of work for age 9 to 18 was changed to 10.5 hours night and day. Hours of work for age 9 to 18 was changed to 10 hours night and day. 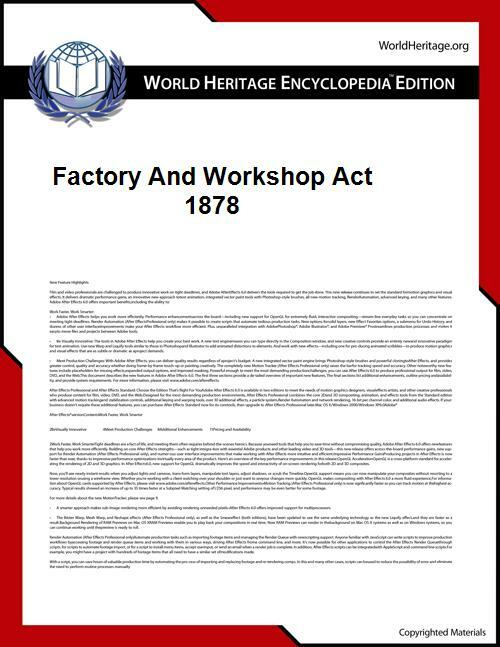 The Factory and Workshop Act 1878 (41 & 42 Vict. c. 16) brought all the previous Acts together in one consolidation. Now the Factory Code applied to all trades. Compulsory education for children up to 10 years old. Women were to work no more than 56 hours per week. The Factory Act 1891 made the requirements for fencing machinery more stringent. Under the heading Conditions of Employment were two considerable additions to previous legislation: the first is the prohibition on employers to employ women within four weeks after confinement (childbirth); the second the raising the minimum age at which a child can be set to work from ten to eleven. Minimum working age is raised to 12. The act also introduced legislation regarding education of children, meal times, and fire escapes.